Mr. Gliebe is the Chairman of the Board of Regal Beloit Corporation. Prior to that, he was the Chairman and Chief Executive Officer of the Company through March 31, 2019. He was appointed as Chairman of the Board in 2012 and was elected CEO in 2011. 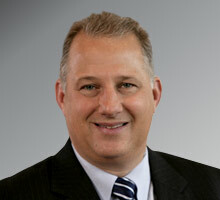 Prior to that, he served as President and Chief Operating Officer of the Company from 2006–2011. Prior to these roles, Mr. Gliebe served as the Vice President and President–Electric Motors Group of the company in 2005. Prior to that role, Mr. Gliebe served as the General Manager of GE Motors & Controls in the GE Consumer & Industrial business unit at General Electric Company (a diversified industrial and commercial manufacturing corporation), from 2000–2004. Mr. Gliebe has a B.S. from Bowling Green State University and has an M.B.A. from Cleveland State University. Mr. Gliebe served as a director of Joy Global, Inc. from 2014–2017. Mr. Gliebe has been a director of Regal since 2007.